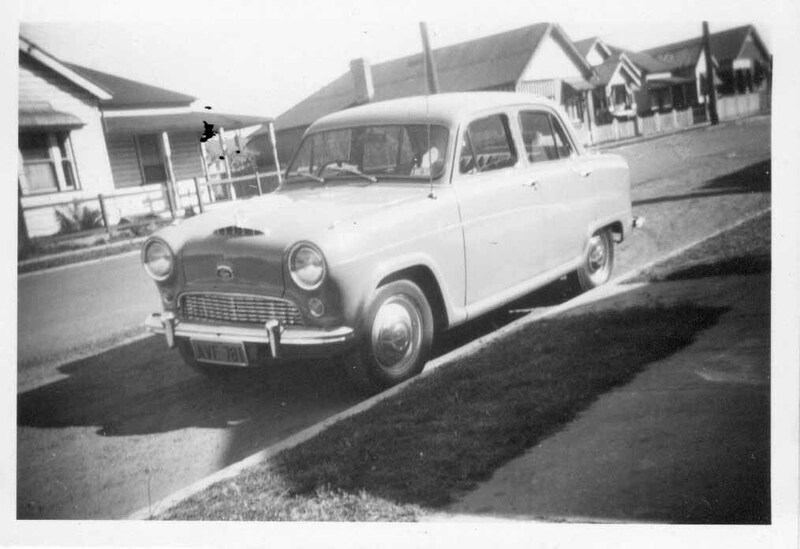 David lived in Hubbard Street, Islington, between 1940s and 1959 in a house with a tennis court located along the creek bank where the Storage Place is currently located. At the time there were three houses along Chinchen Street there. These houses were pulled down in 1958. In our conversation he told me what he remembered about living in Islington during that time. David remembers that everyone knew everyone in the area when he was growing up. ‘They weren’t in your back pocket but you met them out the front and talked to them and it was a friendly atmosphere’. Kids used to go around to the gasworks to collect bags of coke to put on household fires. David’s Dad used to work for the railways and used to whistle to the boys and throw down bits of coal for the household heating. As kids they also played and swam in the creek. You could just climb through the two rails of the school fence to get into the school grounds. The school itself had a back area which was pretty rough with lots of weeds. 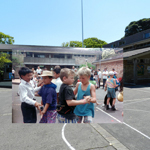 One half of the playground was for girls and one half was for boys. ‘We didn’t care; we were playing cowboys and Indians’. There was one teacher for the whole of first to fourth classes, inclusively. David remembered the air raid shelter located in the school along Chinchen Street. 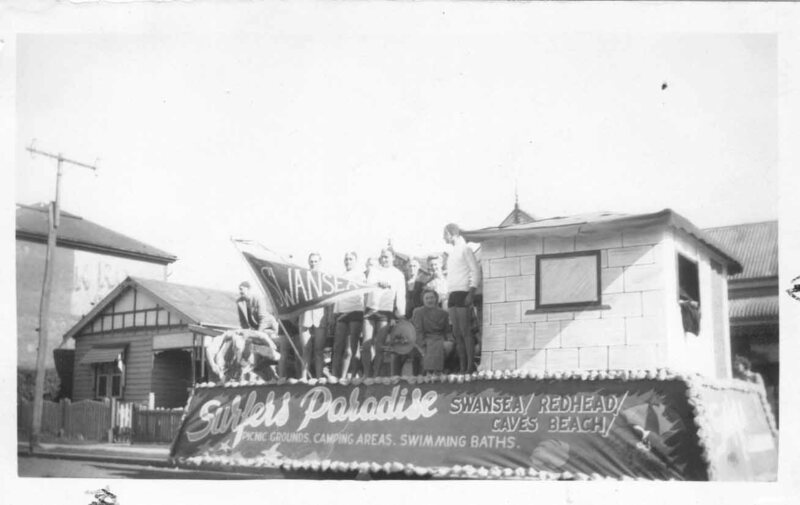 Back then the bowling club at Islington Park was commonly used for parties. 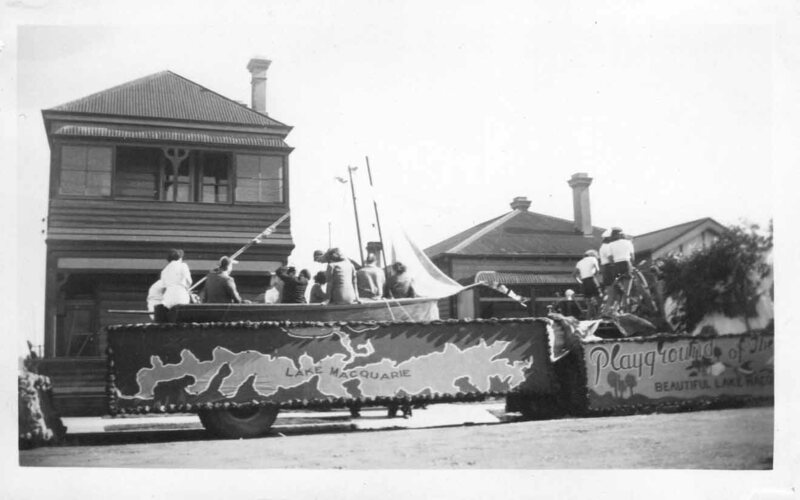 David remembers being part of a float in celebration of the 150th anniversary of Newcastle (see the photos below). What struck me about David’s recollections was the number of small shops strewn throughout the suburb. There were four butcher shops (one in Chinchen Street, one on the corner of May Street and Maitland Road, one on the corner of Dent Street and Maitland Road and one opposite the end of Beaumont Street). Next to the school on the corner of Chinchen and Hubbard Streets was a corner store. A general store was also located in one of the terraces in Chinchen Street called Lindstroms (you can find out more about Lindstrom here). Another general store was located on the corner of Clyde and Chinchen Streets, where the TAFE is currently located. On Clyde Street there was the Newcastle Laundry Service which washed the linen for the hospitals. Along the creek there was a big dam (where the TAFE now is) and this might have been where the laundry got its water from. There was a boy who drowned in the dam. 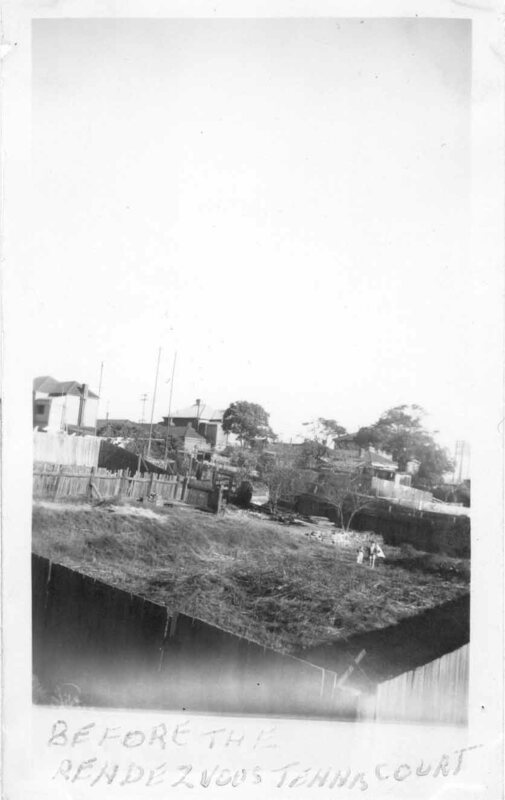 Before the TAFE was constructed there were up to 100 houses right up to the overhead rail bridge that were all pulled down when construction began. On the corner of Maitland Road and Hubbard Street (including the full block where the Caltex service station is now) was Lotts Bakery which used to home deliver bread to Islington and Tighes Hill. At Christmas time David remembers his Mum taking down the Christmas ham so that they could wrap it and cook it. At the intersection of Fern and Hubbard Streets there used to be a Paint Factory. Where the current Islington CBD currently is, was also a thriving commercial district. There was the Owens grocery shop across from the Theatre. They used to do home deliveries – first they would come to your door to take your order and then they would pack it and deliver it to your front door. The antique shop located on the corner of Mary Street and Maitland Road was a café which sold milkshakes. The intersection of Beaumont Street and Maitland Road was called Coachy corner. There was a paper shop down further called Turnbull’s. The paper boys used to get on the buses along Maitland Road and sell newspapers to commuters. David was even a lolly boy at the Theatre for 6 months. Back then you still had to be able to calculate change in pounds, shillings and pence. A book and barber shop were located near the post office. 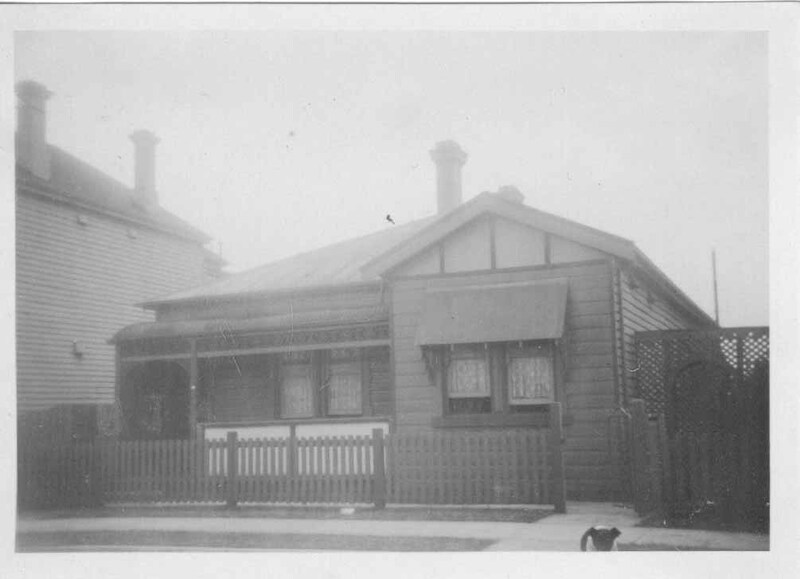 The post office was on Maitland Road next to the pub and the police station (where Awabakal Office is now) and a lady’s of the night residence. Islington spare parts belonged to the Church of England and they had a hall there. After it was sold it was used to trade second hand tyres until a fire occurred in which the owner died. On the corner of Bevan Street and Maitland Road there used to be a furniture factory which did french polishing and BP service station. This entry was posted on Wednesday, June 15th, 2016 at 2:49 pm	and posted in The Islington Archives. You can follow any responses to this entry through the RSS 2.0 feed.